One of the “big four pass” of the North, Ma Pi Leng means “Horse Muzzle “. 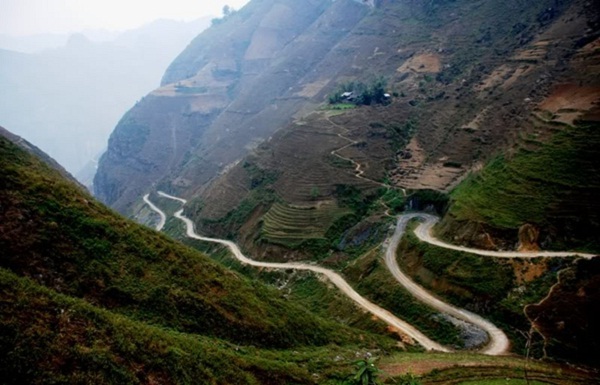 This is a 20km stretch of road running, winding mountain 2,000m high Ma Pi Leng, connecting the town with Dong Van and Meo Vac. Roads Ma Pi Leng Pass runs called Road of Happiness. Pass was built in the 60s of the 20th century by workers mainly ethnic Hmong do. Since 2009, Ma Pi Leng Mountain region has been recognized as a monument national scenic. 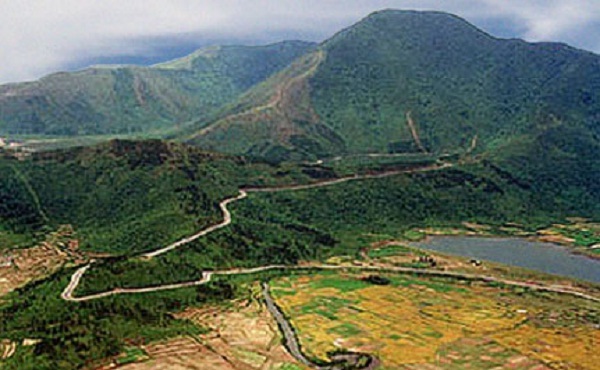 Accordingly, the Ma Pi Leng Pass is considered unique heritage area of geology and landscape. 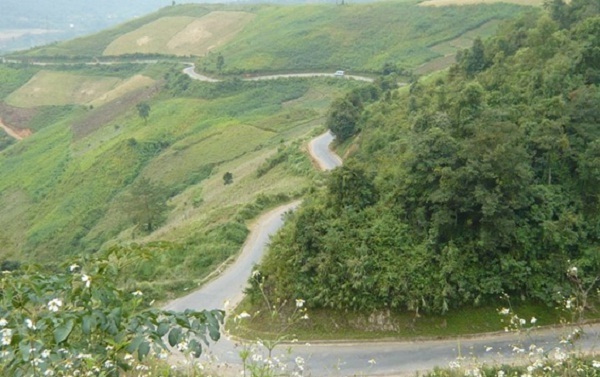 Pass is one of the panoramic viewpoint of the most beautiful in Vietnam. Pha Din Pass length is 32km with 1.648m highest point. Pha Din Pass Name original Thai origin, meaning “Heaven and Earth”, this means this is the place where the borders between heaven and earth. Pha Din Pass famous just rugged, where the scenery is just stunning. Pass on the halfway often uncertain clouds, feet Pass are scattered villages. However, when up to near the top of the pass is almost no longer see the village that only a deep blue sky and majestic mountains as blended into one. Ngang Pass has majestic landscape, at the foot of the pass are the beaches clean and beautiful. Pass on many famous historical sites and much am, Temple neck. It is planned to become tourist destinations Deo Ngang – Hon La with the majestic natural scenery and romantic. Ca Pass is 12km long, is located on National Highway 1A adjacent to the sea, is famous for connecting the two provinces of Phu Yen – Khanh Hoa. As one can pass the most difficult terrain but central to the beauty of their very own, pass both have conquered thousands of pilgrims. From the territory of the town of Phu Yen Dai Lanh (Khanh Hoa Province), from above looking down, Ca Pass shimmering like a giant picture wearing silhouetted clear sea waters. Here, nature is painted green with vivid colors, cool off with a harmonious blend of earth and sky and sea island. Hope you will find the great feeling with these passes from north to south Vietnam.